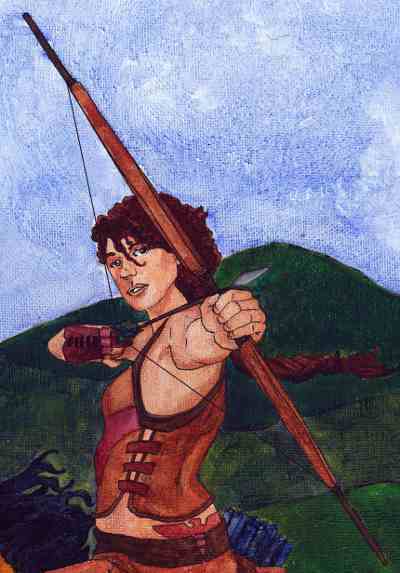 Taminah is the central figure in the series - the primary "daughter of the steppes." She binds the series together and catalyzes much of the action. Book 1 is her coming of age story. Taminah is born the unwanted twin to the future high lord of Alania - a land transitioning from its nomadic and egalitarian roots to a patriarchal kingdom. A tomboy who spends all her time with her twin and a group of noble-born boys, Taminah is much more interested in weapons play and mastering the horse than learning how to run a holding like a proper Alani woman. 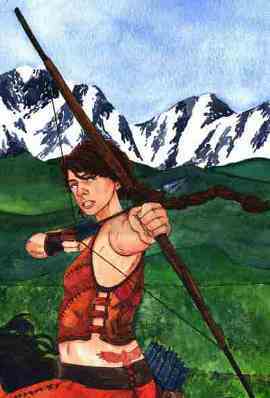 Refused weapons training on all but the bow, she is otherwise largely ignored: her father died before her birth; her mother is busy maintaining her position as mother of the heir and dislikes the girl immensely; the servants do whatever she asks; and her brother follows her lead. At age ten she comes to the attention of Althea, a female elder, who realizes that Taminah is the dominant twin. When Althea reports her concerns to her fellow Council members, the old woman finds herself sent into effective exile to watch over the wild, strong-willed girl at the remote holding of Tánaïs.